The average selling price for a home in the Baturyn neighbourhood of Castledowns has slipped down to $330,130 so far in 2016. That is off the last couple years' average sold price for the area, Baturyn was selling in the $350,000 range those two years. 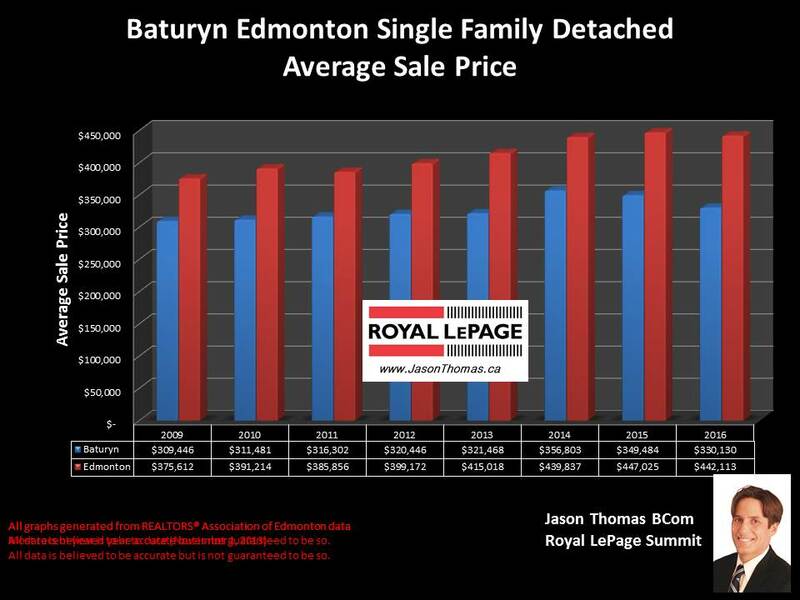 The average time to sell a Baturyn home has been quick at only 29 days. Comparing that to the Edmonton aveage days on market in 2016, Edmonton has been taking 50 days to sell on average. In the whole area of Castledowns, the average days on market has been 48 days. Duplexes in Baturyn have realized an average sale price of $252,750 so far this year, and the condo real estate market in Baturyn has seen an average sold price of $210,914. The average time to sell a condo in Baturyn in 2016 is sitting at 46 days.